+ What are the tents like and what do they come with? + How many people can fit in each tent? The maximum occupancy for our tents is 2 adults and 2 children. + Do the tents stay cool in the summer? Yes and no. Each tent has air conditioning and three ceiling fans to keep it comfortable. The air conditioner is located directly above the bed in order to always keep it nice and comfortable, especially at night. However, because the tents are open air and not insulated, the rest of the will get warm during the heat of the day in the summer. Groceries - If you plan on cooking. Otherwise there are several restaurants in Johnson City that we recommend. All visitors must park in the parking lot 200 yards from the tents. We have large wagons you can use to carry your belongings to your tent. + Do I need to bring charcoal and firewood? No. Our grill is propane and firewood is included in your stay. + Is there a refrigerator? Yes! Each room has a small 5 cubic foot refrigerator with a freezer compartment. + What is the river like? We have 1,500 feet of private frontage along the Pedernales river. While the majority of the river does dry up during the end of the summer, we are fortunate to have a natural pool which is full year round. We have 1 canoe which is available for guests to use at any time. Fish you may see or catch include large mouth bass, carp, and sunfish. The river is a 10 minute walk from the tents, the last part of which includes a descent down a steep road. We have provided a rope that guests may use to assist them if necessary. Guests are not permitted to drive their vehicle down to the river under any circumstances. + Can I bring my own boat for the river? No, please do not bring your canoe, kayak or any other boat to the property as you will not be able to get it down to the river. We have a canoe that all guests may use free of charge. + Where is the property located? 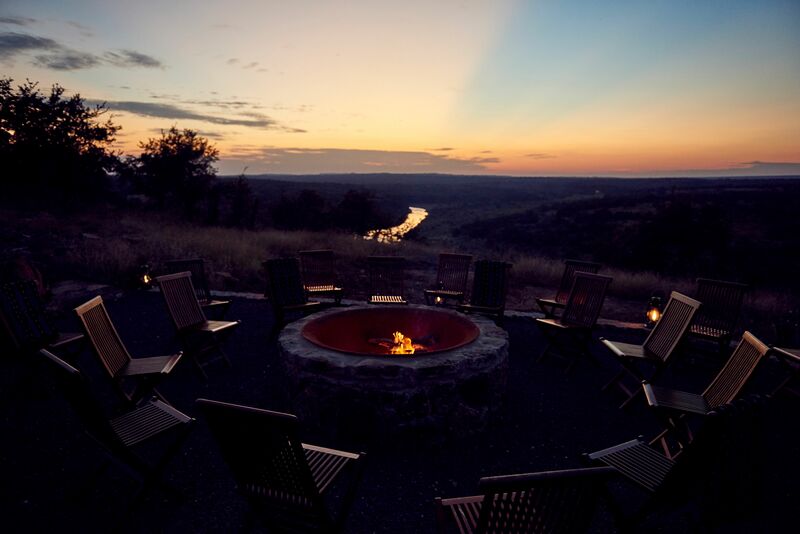 Walden Retreats Hill Country is located 5 miles northwest of Johnson City, TX overlooking the Pedernales River. We are 1 hour from downtown Austin and 1 hr 15 min from San Antonio. Click here to see an area map. + What is there to do on the property? The property is a 96 acre piece of private land along the Pedernales River. Activities include exploring our hiking and biking trails, swimming in the river, fishing (you must bring your own pole), and canoeing. The tents are very weather proof and will keep you safe and dry in the event of a storm. We do not offer refunds for any inclement weather. + Do you allow primitive camping? + Do you allow visitors? Yes. However we do limit day visitors to 1 person per guest. Visitors are not permitted to spend the night under any circumstances. + Are there animals on the property? Although we are just one hour from Austin, Walden Hill Country is a wild and relatively untouched place. Thus, there is an abundance of wildlife just as there would be in a national or state park. The main animals you may see during your time with us include turkey, deer, dove, quail, a variety of song birds, buzzards, hawks and armadillos. Also, while it is unlikely you will see them, there are snakes in the area. As unpopular as they may be, they do help control the pest and rodent population. Simply staying on the paths and roads will keep you out of their way and allow them to play their role in our ecosystem. + Is hunting allowed on the property? No hunting is allowed on the property at any time. + Can I bring my kids? Yes however please know that the rooms are designed to accommodate 2 adults. We do not provide cots or rollaway beds for children. A pack n play will fit comfortably in the bathroom. Also, all children are asked to respect the quiet atmosphere we have created and not interefere with other guests.